Looking for leftover turkey recipes? 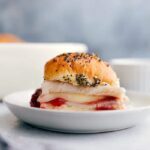 These leftover turkey sliders with turkey, cheese, cranberry sauce, gravy, and delicious sweet buttered rolls are the BEST! After you’ve enjoyed this moist crock pot turkey and this amazing cranberry sauce, repurpose both into these simple sliders! Special thanks to McCormick® for sponsoring this post. As always, all opinions are my own. After slaving away for a couple of days in the kitchen you deserve some leftover turkey recipes that are tasty and easy to make! Thanksgiving leftovers make up some of my favorite meals — delicious ingredients repurposed in a quick prep time = win, win! 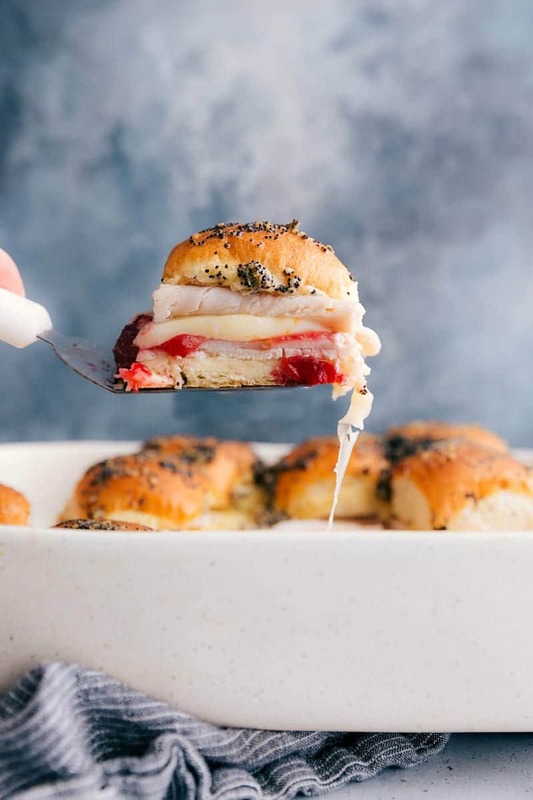 Of all of the delicious meals you can make with Thanksgiving leftovers, these turkey sliders are definitely one of my very favorites — tender turkey breast meat, flavorful McCormick Turkey Gravy, sweet cranberry sauce, melty muenster cheese, and sweet hawaiian rolls — these sliders are the best! The possibilities for leftover turkey recipes are endless! If you don’t have anything leftover BUT turkey, I’d recommend whipping up a packet of McCormick Turkey Gravy (which takes less than 5 minutes), and enjoying the two together OR use the ready-to-serve McCormick Simply Better Gravy to replace cream sauces in some of your favorite meals. (And add in some turkey to those meals or replace other protein with that turkey). McCormick Turkey Gravy is made with real and flavorful ingredients, like hearty stock, vegetables and McCormick herbs and spices. Your family will be obsessed with this turkey gravy. We don’t do Thanksgiving (or Thanksgiving leftovers) without it! First, inventory those leftovers! 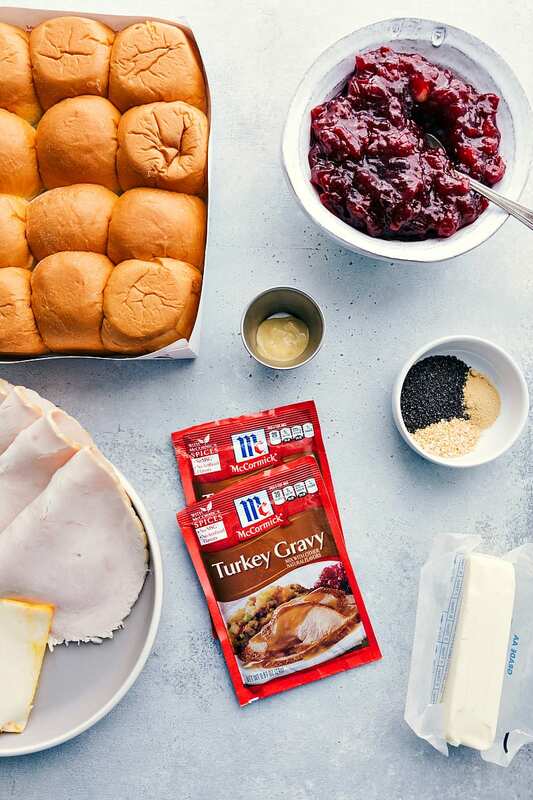 You’ll need one pound of leftover turkey breast, cranberry sauce, and 1 packet of McCormick Turkey Gravy. You’ll also need one package of Sweet Hawaiian rolls, cheese, butter, and seasonings. On the bottom half of the rolls, evenly layer half of the turkey, the cranberry sauce, cheese, and the remaining half of the turkey and top with the top half of the rolls. 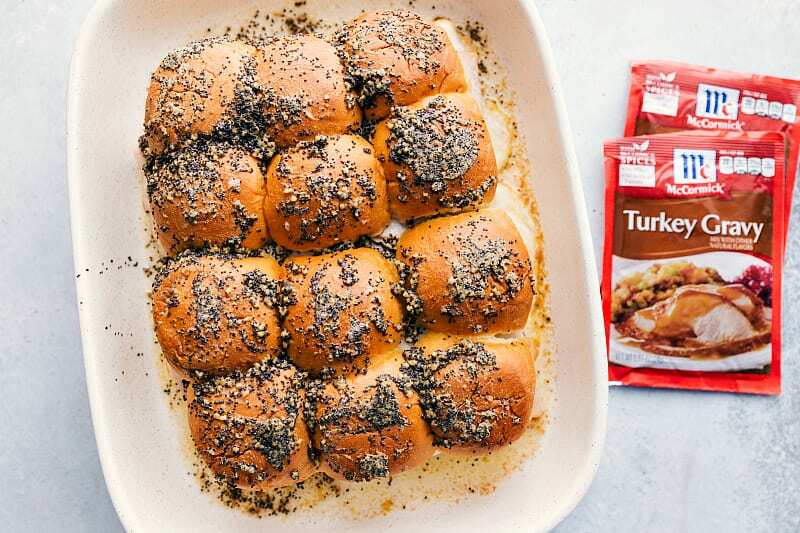 Melt the butter, mix in the spices (part of the turkey gravy packet goes in this mixture which infuses these rolls with an amazing gravy flavor), and evenly pour over the rolls. Cook until cheese is melted and turkey is warmed through. While it’s cooking, you can whip up the remainder of the turkey gravy to dip your sliders in. How long can you keep leftover gravy in the fridge? You can store leftover prepared gravy in the fridge for up to 3-4 days. You can also freeze prepared gravy in an airtight container for up to 4-6 months. 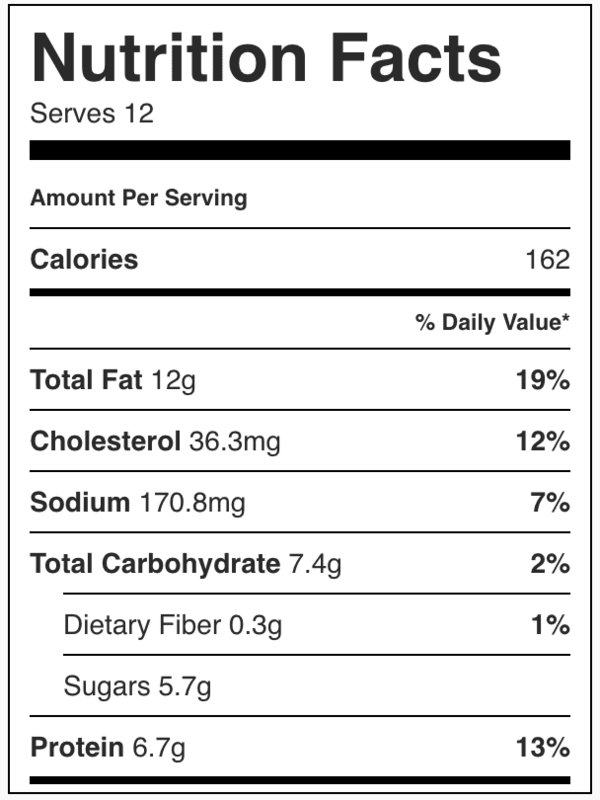 McCormick Turkey Gravy packets (unprepared) have a long shelf life — be sure to check your individual packet. Leftover turkey will keep for 3-5 days in the fridge. Make sure to store it in an airtight container to prevent the turkey from drying out in the fridge. How long does sliced turkey last in the fridge? If you’re using packaged turkey or deli meat, an open package will last for 3-5 days. An unopened package of turkey should last for about 2 weeks in the fridge, but be sure to check the expiration date! Can you freeze leftover cooked turkey? You can freeze leftover cooked turkey for up to three months; just make sure you have removed the bones before you freeze the meat. 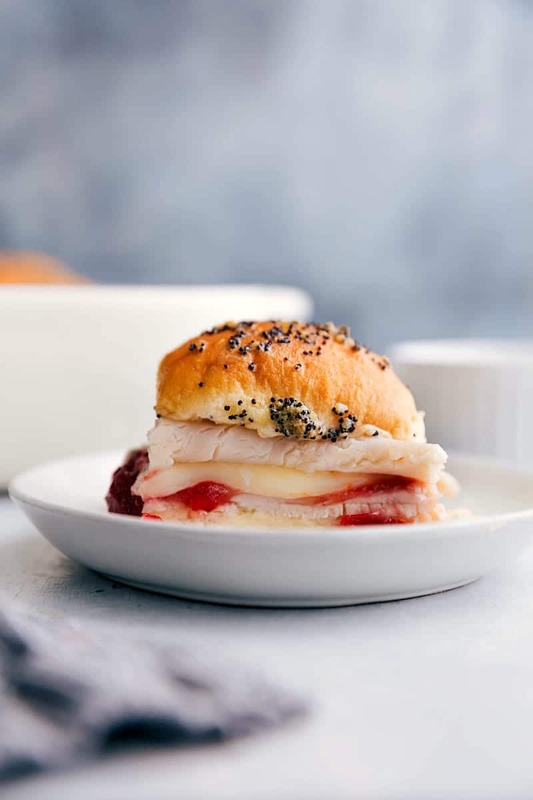 These leftover turkey sliders with turkey, cheese, cranberry sauce, gravy, and delicious sweet buttered rolls are the BEST! Preheat oven to 350F. Spray a 9×13-inch pan with cooking spray and set aside. Using a large serrated knife, slice the entire package of rolls in half. You don't want to cut or separate individual rolls, but rather make it so you have a bottom half of all the rolls and a top half of all the rolls (see photos in this post). Place the bottom half of the rolls in the prepared pan. Evenly layer the cheese. (I do 2 layers of muenster cheese). Evenly layer the remaining turkey. Add the top half of the rolls and set aside. To a medium microwave-safe bowl, add the butter and melt. Stir in 1 and 1/2 teaspoons of the turkey gravy packet, dijon mustard, poppyseeds, dried minced garlic, and onion powder. Whisk to combine. Evenly and slowly pour the butter mixture over the rolls. Use a spatula or pastry brush to spread the mixture over the tops. Some of the mixture will pool at the base of the rolls -- that's okay. Cover the sliders with foil and allow rolls to stand at room temperature for 5 minutes. Then bake in preheated oven (covered) for 18-25 minutes or until the cheese has melted and turkey is heated throughout. Uncover and bake the sliders for another 3-5 minutes or until the sliders are done to your desired preference. Make sure to watch your sliders carefully to avoid burning. The bake time will vary based on the pan you used, the current climate/humidity, and differences in ovens. Meanwhile, add the remaining gravy mix to a small pot. Add in 3/4ths cup of cold water and prepare the gravy according to package instructions. Serve alongside finished sliders! Slice into individual sliders and serve immediately with a side of gravy! Sliders are best served right after being removed from the oven. These don't store or re-heat very well. *I highly recommend a thick homemade cranberry sauce to ensure these rolls don't get soggy and have the right amount of sweetness.